These are lyrics by G-Unit that we think are kind of repetitive. 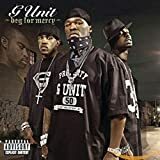 G-Unit's, "Wanna Get To Know You"
These lyrics are repeated over and over throughout the entire song...it drives me crazy!! !